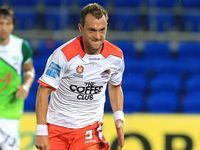 BRISBANE Roar’s relentless march to A-League immortality has continued with a two goal comeback against the Central Coast Mariners in a titanic second leg of the major semi-final at Suncorp Stadium. With one hand on a home grand final due to a two goal cushion from the first leg in Gosford, the Roar was made to fight for its place in the showpiece event after the Mariners silenced the 25,168 home crowd with two quick-fire first-half goals. A Matthew Smith own goal and a rare strike from midfielder Oliver Bozanic had the visitors dreaming of a sensational upset heading into the half-time break. But with a home grand final – and the club’s record breaking unbeaten run – on the line, the home side rallied in the second half with Thomas Broich and substitute Henrique capping a remarkable recovery. “We achieved our objective but we made things a little bit hard for ourselves and we had to fight for it,” Roar coach Ange Postecoglou said. “We just thought it would be an easy game and we had some chances early on didn’t take them, we weren’t as clinical as we have been in the past, we weren’t as crisp and we got done by two sucker punches. “You have to respect the game and respect your opponent at all times or else you get a slap in the face … and we got a couple of slaps. 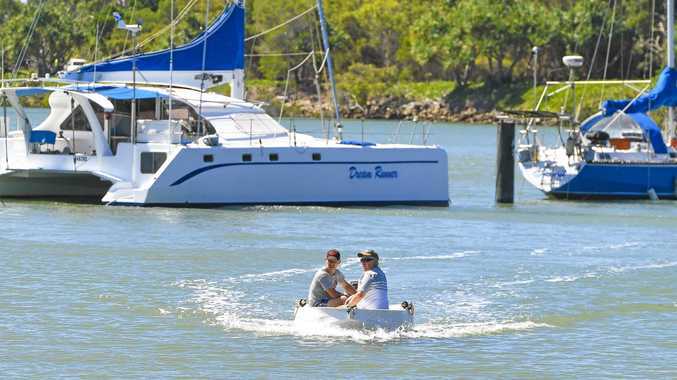 For the hard-working Mariners it was another performance which fell just short of toppling the runaway leaders, with Graham Arnold’s men needing to quickly regroup for a sudden-death play-off against either Adelaide United or Gold Coast United in a week’s time. However, the Mariners will have to chase its grand final dream without Pedj Bojic after the defender was controversially given his marching orders following a collision with Broich in the dying moments of the match. A proud but frustrated Arnold said it was a psychological win for his team but bemoaned what he labeled as ‘two big decisions’. “I know I keep saying I’m proud of the boys but they were outstanding tonight and I thought we did exceptionally well,” he said. “If I’m a little bit disappointed (it’s with) the two big decisions. “The first goal I need clarification … (but) for me it’s offside. “(Ivan) Franjic was offside and came back from an offside position and blocked Oliver Bozanic so he couldn’t get to Broich. “And I’ve seen Pedj Bojic’s send-off on the monitor as well, and that’s one player gone next week for no reason at all … there was nothing malice (in the challenge). The game was a cut and thrust contest in the early stages and both sides had strong chances to steal the upper hand in the tie. Mariners’ Patricio Perez blazed over from directly in front and the Roar’s Kosta Barbarouses was foiled by the heroics of Mathew Ryan on a number of occasions. When Brisbane’s Jean Carlos Solorzano had a header hacked off the line by the Mariners defence, it seemed only time would tell before the home sides pressure would be rewarded with a killer goal. But the Central Coast blasted the game – and the tie – into life with two goals in the space of a minute heading into half-time. Roar defender Smith set the Mariners on its way in the 39th minute – finding himself in the wrong place at the wrong time – and cruelly deflecting a Daniel McBreen shot past the helpless Michael Theoklitos. But worse was to come for the shell shocked Roar when Perez and Bozanic linked up shortly after the restart. Perez took control of play in the middle of the ground before feeding Bozanic who strode forward before unleashing a curling shot past Theoklitos and sending the visiting fans into delirium. 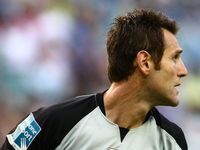 But despite trailing by two goals for the first time at its home fortress this season, the Roar refused to let the golden chance of hosting a Brisbane grand final in over a decade slip through its fingers. However the Roar still required a piece of magic to breach the Mariners defence and Broich was more than happy to oblige. Matt McKay fed the ball down the line to the German maestro who, jinking his way into the box, stunned Ryan with a shot squeezed between goalkeeper and the near post. Arnold threw on young striker Berniue Ibini-Isei and moved central defender Patrick Zwaanswijk forward as the visitors pushed for a knock-out third goal. But the Roar broke the hearts of the Mariners’ faithful when the two substitutes – Henrique and Massimo Murdocca – combined for the Brazilian’s late equalizer. The undoing of the Mariners’ plan to steal the show was complete when Pedj Bojic was shown his second yellow card for the foul on Broich. Both camps came together in the ensuing melee but the final whistle brought and end to the bad blood and sent Suncorp Stadium into rapture, the Roar capturing its first home A-League grand final and stretching its unbeaten run to 27 games.